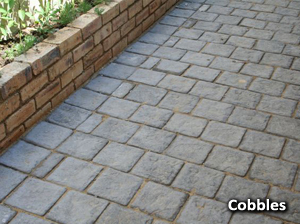 Our versatile cobbles lend themselves to any pattern and design and come in a variety of colours for this purpose. As with all our products, Lacotta cobbles improve with use and time. Lacotta cobbles are designed to handle the mass of most vehicles and even large trucks. 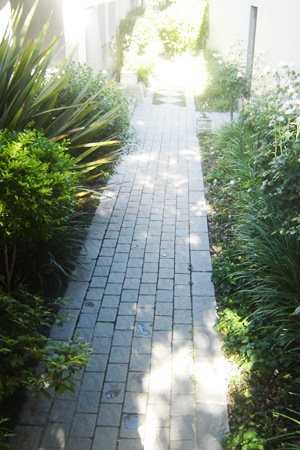 They are ideally suited to driveways, parking area’s and pathways. Lacotta Cobbles create the most attractive driveways to give your home or office that final touch of style. The authenticity of the Lacotta cobble lends itself to areas where a true stone finish is required to blend with buildings of distinction and contemporary classicism. These new sizes including the 185 x 185 x 50 cobbles allow us to design numerous laying patterns. The cobbles are also used by many of our landscapers as garden edging, to create an edge between flowerbeds and grass. This can be used very successfully to incorporate your garden into the design of your home.